Thervoy is a Village Near to Pallavakam, Uthukottai to Thervoy its around 10 kms. CHENNAI: French tyre major Michelin’s upcoming manufacturing facility north of Chennai, with a total capacity of 4.5 lakh tonnes radial tyres is likely to be the group’s largest in the world. The first plant is currently under construction and will begin production in November 2012, rolling out about three lakh radial tonnes of truck tyres in the first year. 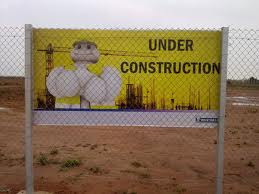 “The maximum tonnage on site is 4,50,000 tonnes and it will eventually be the biggest in the group. Close to 90% of the production will be for domestic use,” said Nicolas Beaumont, president and managing director, Michelin India Tamil Nadu Tyres. The first factory, which will produce bus and truck radial tyres, is being set up at Thervoy Kandigai SIPCOT Industrial Park on 290 acres of leased land in Tiruvallur district. “We are investing Rs 4,000 crore over seven years and will hire about 1,500 people,” he said. The first set of 356 employees is already undergoing training at a centre on the site as well as in centres across the world. Michelin is targeting the heavy vehicles segment as it already has 14.5% radialisation and there is a greater chance of growth. “The passenger car market has too many sizes – from small cars to mid-size to large and luxury – so we would not be pioneers,” said Beaumont. Government to Widen SH 51 into a Four-Lane Road. 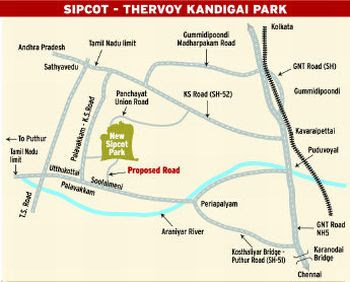 CHENNAI: The State Industries Promotion Corporation of Tamil Nadu (SIPCOT) will lay a five-km approach road from Soolaimeni village to its new industrial complex at Thervoy Kandigai in Tiruvallur district, about 45 km from here. The industrial park spread over 1,027 acres, is yet to be allotted to industry majors. Of the five-km stretch, a single lane Panchayat road covers the first four-km from the Soolaimeni village junction. Visitors have to navigate through a forest and negotiate mud road to reach the destination. “It will cost nearly Rs.25 crore to lay the approach road and the State government has come forward to give Rs.10 crore. Almost 90 per cent of the site clearance work has been completed,” SIPCOT Chairman and Managing Director, N. Govindan, told The Hindu. Though the Thervoy Kandigai park is connected by panchayat roads from three directions, SIPCOT would lay stress on the Soolaimeni village side, which is just a couple of kilometres from Palavakkam, Utthukottai and the Andhra Pradesh border. The neighbouring industrial complex at Gummudipoondi is also that of SIPCOT. “Around 10 per cent of the land will be set aside for creating infrastructure facilities and the rest for industrial units. We are yet to decide about the land allocation as our first target is to get a two-lane road ready by May and a four-lane one by October-November 2010. We have finalised the road alignment and have entrusted the work to Highways Department,” he said. 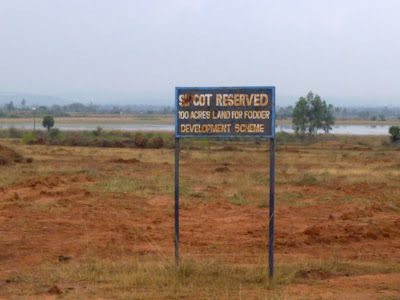 Anticipating heavy investment, SIPCOT officials have also asked the government to widen SH 51 into a four-lane road. The 23-km two-lane road connects the Kosthaliyar river with Periyapalayam and Utthukottai. We are looking for land through SIPCOT here to set up a E-Waste recycling plant. Please share aluminium scaffolding related job vacancy in chennai region. Nice blog shared. One can also get the details of michelin tyres pune only at Shree Tyres. Thanks for sharing. I receive the message for job available in sipcot.. The interview 6th sep to 8th sep.. Is it true ? ?